People need to be comfortable and happy at their workplace in order to be effective and efficient. They look for organizations where they can be benefited according to their needs. When people work at a full-time job, they expect certain benefits, rewards, and compensation. Every profession has different responsibilities and they also win respect because of their contributions to the society. If an individual is happy at work, they increase productivity in their organization. They bring about different and effective changes in the organization. Employees in an organization need to stay close and united like a family. Employees who stay happy at work do not complain all the time and are more optimistic. They think positively and more creatively. Every organization needs to value their employees by rewarding them and thanking them for their hard work. Employees who are happy at work do not face medical issues like depression and mental illness. They are healthy and work harder. An organization needs to understand that every employee is important and every employee works hard if they are satisfied. Happier people make better and wiser decisions in life. Every individual is unique and different from one another. An employee shouldn’t be distinguished according to their gender or race but according to their hard work and performance. A woman works equally as hard as a man. Men and women have equal rights. Women should be given a sense of security. Gender equality is attained when people can enjoy the same rewards and resources regardless of their gender. An organization needs to eradicate certain barriers so women can participate equally. And provide equal compensation according to their hard work. Females can bring unique and different attributes to the organization. We need to change the mind-set of the organization in hiring men and women and consider them as equal. Every employee need to stay positive. Staying positive instead of being negative helps employees to overcome obstacles in their daily life. By being positive, they improve personally and increase business for the organization. By encouraging positivity in an organization, it motivates employees to perform better and more efficiently. Every employee needs relaxation at work to get away from stress. This promotes employees to work harder and give 100%. By creating a simple room where employees can react differently at work, they will improve productivity and satisfaction. The change will give them a chance to relax and be comfortable with their peers and perform efficiently. they'll start fresh, and productivity will increase substantially. By establishing a dedicated area for teachers to relax, the stress level of the employees will decrease and productivity will increase. Employees will be satisfied to know that the organization empathizes with them. When an employee selects an organization, the first thing they go for are the benefits they are offered. Maternity leave is very essential for working women as they too play an important role in an organization. Every organization should encourage at least 6 months of maternity leave so that when the mother returns to the organization she is focused and is comfortable working. She should be given flexible working hours so that she does not get stressed. Paternal leave is as essential as maternity leave. It will give a chance for the father to bond with their child and will give them a chance to be happier at work. By meditating at work, it will help an employee to stay relaxed and stress-free. It will help them to make better and wiser decisions. By making better decision they will achieve and accomplish targets and goals which will make them happy and content. A stressed and unhappy employee can never be productive. However, a happy employee is creative and more focused. Every employee needs to be appreciated for their hard work. This will not only help the employee but also the employer. By rewarding an employee, they are more productive and work efficiently. By rewarding employees this will help encourage employees to meet personal and professional goals and target that drive production. This will increase employees’ engagement towards the organization and inspire them to work harder and stay longer. By investing in hard working employees, the organization will achieve higher goals and increase productivity. The organization needs to recognize their employees, achievements, and reward them accordingly. Every organization should encourage on the job rotation as this will help them to be more diversified. Rotating employees to work in different departments and providing different tasks will help not only the employee but also the employer by giving them a chance to acquire new skill sets and increase their knowledge. This will help the organization to place their employee where they are most likely to increase productivity within the organization. This will make both the employee and employer happy. By acquiring new knowledge this will help the employees to be an asset to the organization and be more efficient. Every healthy organization must empower their employees to be trained for not only professional growth but also personal development. This will help employees to enhance their skills and be efficient in the workplace. In-house training: Experienced employees need to provide training to the new employees. By allowing the experienced employees to train junior employees, the organization should provide a stipend or compensation so they are motivated to train regularly. This will help the organization to cut costs and educate the employees. Outside training: This will help employees by enhancing their current skills and develop new skills. We can also get acquainted with the competitors and learn how to tackle them. By arranging team building activities, the employees are less stressed. Working in a stressful environment can cause fatigue and depression; therefore, it is recommended that all organizations should have a little office activity for employees to avoid stress. Working together, sharing responsibility for problem-solving, and making decisions ensure employees formulate and carry out plans. Effective and successful teams are basically characterized by trust, respect, and collaboration. Working together as a team builds trust. Employees achieve goals in a better and efficient manner. But achieving goals successfully employees and employers both stay happy and stress-free. Therefore, every employee needs to stay happy to work efficiently in an organization. Happiness at work is essential. 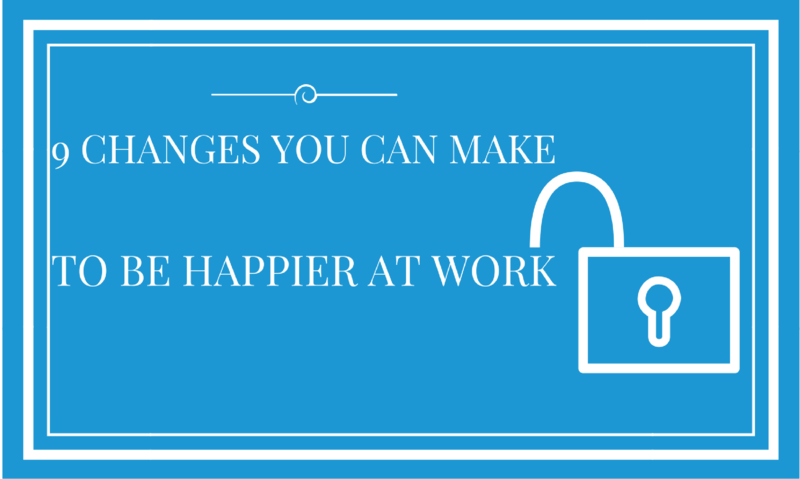 Staying happy at work means that not only does the employee benefits but also the employee. The growth of every organization depends on the health of the employee which in the long-term helps the organization advance in terms of growth, profitability, and consistent performance.